Our pets are our family, and here at Feather River Veterinary Hospital our goal is to always provide the finest in veterinary care to the pets brought to our facility. Ever since May 1, 2003, when Dr. Matt Tucker and his wife, Katie bought Feather River Veterinary Hospital, they have been fulfilling their dream of helping pets and their owners to live out the highest quality lives together possible. Come visit us in Marysville, just off of North Beale Road. (click the link at the top of the page to generate a map) Our great service and reputation have driven our growth into the busy and efficient practice that we are today. We welcome you and your pets and are confident that we can offer the best possible care. call (530) 742-0919 and listen for emergency instructions. Low-cost vaccination-only (no examination) clinics are offered on the first Saturday of each month from 1:00 p.m. to 3:00 p.m. on a first-come, first-served basis. 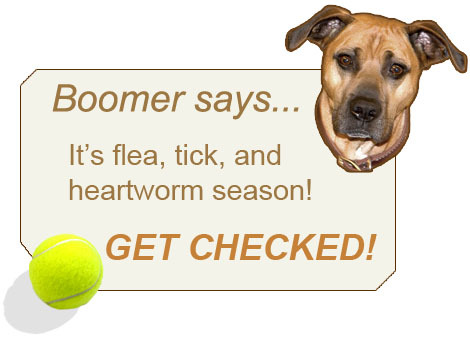 Vaccinations include future reminder notices for all vaccinations when due and rabies tags for dogs.